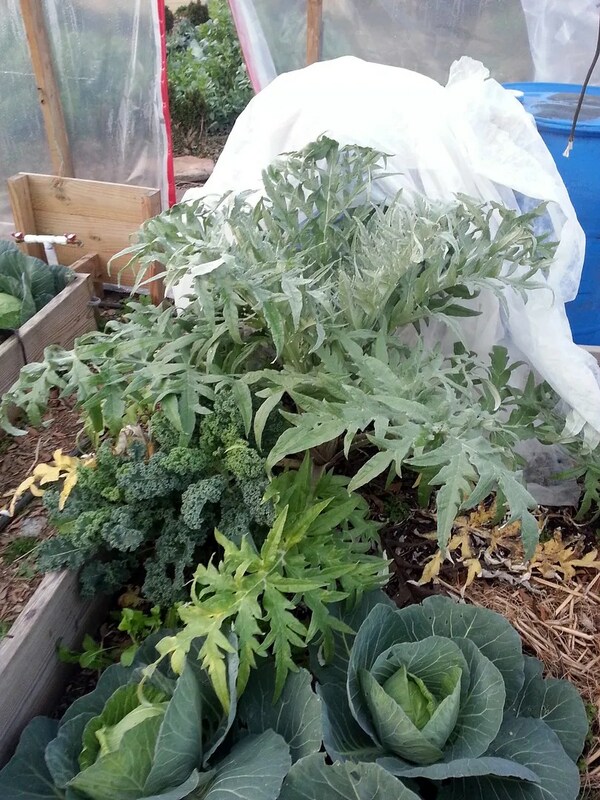 We’ve had a few nights in the low to mid 20s here lately and my hoop-house artichoke seems to be doing quite well. I have kept it covered with light spun row cover and planted two 55 gallon water barrels next to it for hear retention. 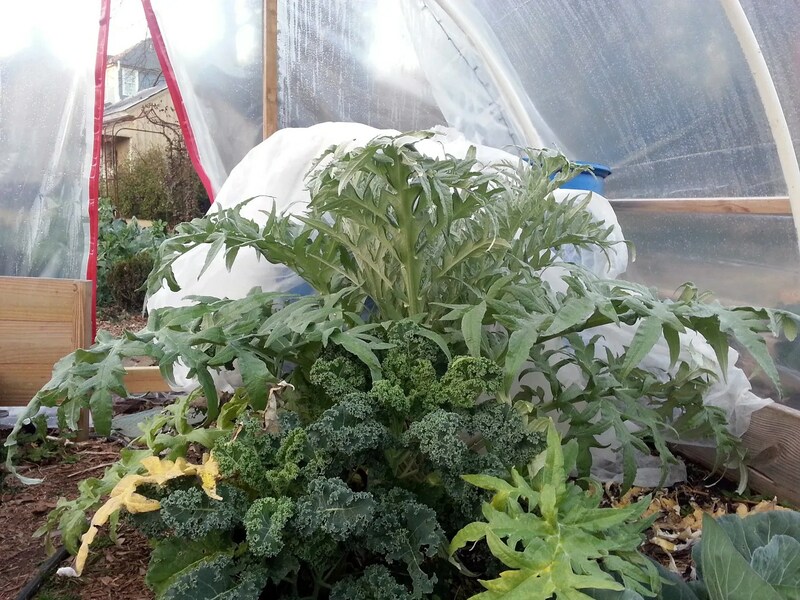 The kale is holdover from last winter that regenerated from a stem which had been pretty much stripped of all its leaves more than once. It perked up when the weather chilled a bit and is now big enough for me to worry about competition again. One of the cabbage in the foreground is ready to be harvested, we just haven’t caught up from wedding and holidays enough to assess what we have and schedule out our “winter harvest diet” yet. What a fantastic winter harvest. Your little greenhousey tent is working a treat. Congrats!